What is Mike up to NOW? Weekly updates on what Mike is working on right NOW! Kids still off for Songkran festival in Thailand. Went to Hua Hin. (still burning season in Chiang Mai) no rainy season yet! A few new consulting clients for ecommerce and internet marketing content. Looking to make GFA more an online bootcamp – more online business focused. Thinking this is what I will be doing the rest of my life. Curious About Mike’s Tools & Strategies? Mike shares his knowledge and tools for free on his quick reference resources page. I’m back in E-commerce, diving deep into Amazon FBA. Will be sharing the story and the blood, sweat, and tears in Global From Asia’s e-commerce series as well as a monthly TV show Ecommerce Gladiator. Excited to get back into e-commerce since “Retiring” in 2012 after 8 years in the arena. Para Living is the corporation. Working with select number of brands to grow on Amazon FBA and beyond – by building their brand. A true brand, not just a logo on a box. Loves podcasting and blogging about Hong Kong, China, and Asia business. 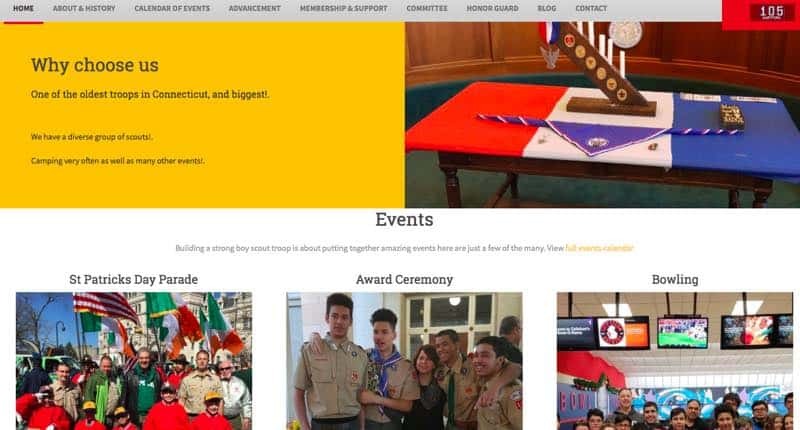 As a Eagle Scout, and getting older, and a father – I want to give back and help with the boy scouts troop where I grew up. I help out with the website and online marketing. This is a course and program to help business owners leverage the power of online teams and systems. Over the year I have been in Asia, I have learned how to best manage distributed teams. To be extra clear, to make SOPs and systems to let the team follow them and do the work anywhere. 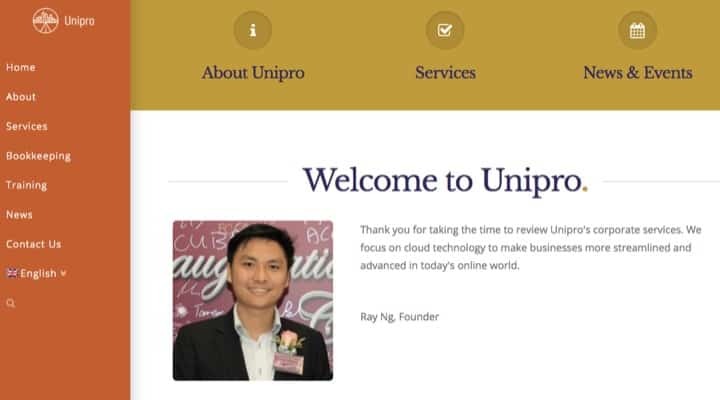 We merged our GFA Agency operations with an awesome CPA Firm Unipro Consulting Limited. Ray Ng is my business partner there and an awesome guy! More podcasting! I love creating content, and sharing it with the world. SEO company. I’m co-founder and VP of Operations. We help US companies, mainly in local SEO rankings with our team. Outsourcing company. We can also help you with VA (virtual assistants) managed and both part time and full time. Message me for details. going back in the archives, are we?….. Kids off school the next 2 weeks for Songkran festival in Thailand. Planning to take a trip back to Hua Hin with the family – considering to move there. Going to Bangkok Monday to Friday. Well Bangkok only Monday and Friday, taking a bus to Hua Hin for a factory visit and Amazon seller connection meeting. Planning a trip to Hong Kong / Shenzhen for May 18 to 25. Some training and some meetups. Discussing some new consulting client deals for internet marketing and content creation. Just being a content machine and applying to the portfolio of companies. Like a content investor in a way I guess? Back from Bangkok – met a lot of new amazing opportunities that city is hustling! The empire is coming back. Added an epic infographic to Opening a US bank account for non Americans (that blog post is epic!). Planning to start the media “machine” again -took almost 4 months off and ready to come back bigger and better than ever. Will be in Bangkok this week for some meetings, a good friend and smart dude Simon Payne is in town. Brainstorming more productized services from my domain portfolio. Thinking of hiring a summer intern – but it may be a bit late. Excited in becoming a creator again. Greetings from Taipei, Taiwan! Here for a conference East Meets West Cross-Border E-commerce Summit and spending an extra day to see the city and do some meetings. Back to Chiang Mai, Thailand on Tuesday late morning. Thinking of how to deal with burning season in Chiang Mai, Thailand. It really is affecting me and my family – we underestimated the effects. More operations work for systems and implementation of FBA. HR transition post-merger – basically new and old people shifting fast . Theme: As COO, co-founder of Brand Masters investment company, learning my role is optimizing a ton of projects and getting them rolling – and then handing them off. At first it was annoying because I would start something and then not do it anymore (feel like I wanted to keep doing it) but now that I am getting the hang of it – thats is my strength – defining a project, getting it rolling, and then getting the right people to do it. This week will be the last week for a lot of people on the team I brought into Brand Masters, a bit emotional but part of what happens in a merger. Working on more IT systems for Amazon sellers, making SRS, mockups, and building teams. Theme: MORE IT technical requirements for FBA software – SRS, mockups – tons of screens. Made some HARD HR cutbacks last week post-merger, choked up a little. More Amazon listing optimization reviewing. Doing what I love – creation and building. Wife BACK from India (phew) – kids so relieved. Preparing to launch new products on Amazon this week. 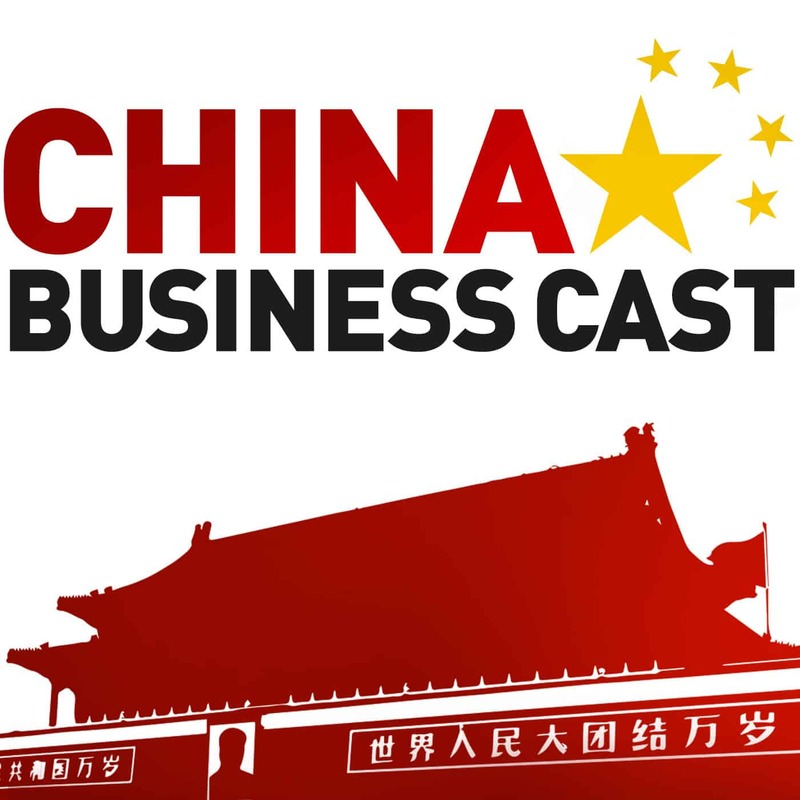 Close to closing deals for transfer of China Business Cast podcast and Cross border association / events. Doing what I love – content creation. Wife in India until Wednesday! Trying to stay sane taking care of 2 kids by myself…and working like crazy! Preparing to get more products to the studio in Thailand. Theme: Still deep in systems and operations (but moving to content). Discussing with a few candidates about hiring a new ecommerce product manager to help with the brands. Collecting a lot of footage and content for the brands, on Amazon and off. Theme: Deep in systems and operations. Kids finally finished their winter holiday break – back to school Monday! Further optimizing our growing content creation and marketing team. Still discussing with new organizing team for future of Cross Border Summit events, may form into Cross border Association. A bit frustrated this morning – internet cut off – still dealing with “moving to Thailand” issues (auto-pay was supposed to be turned on but basically it wasn’t). Electricity was also cut off earlier this week – really need to have a Thai speaking person to assist you for living in a home it seems! Gave team a half day on Monday (31st) and of course a holiday on the 1st. Happy new year! Putting another ecommerce brand into the FBA incubator, now managing 2. Scaling up the team and the systems. Working on a customer support ticketing system for each brand, custom installed on each server (techie stuff). Studying another contact’s strategy for taking affiliate sites to build communities and then launch brands on Amazon / e-commerce. I love that strategy and am happy to find more doing it. Geeking out on blogging, content marketing, affiliate sites – this is what I am so happy to be doing more of in 2019 – and then leveraging that for ecommerce. Wendy is convincing me to read a Zen book Steve Jobs said was great – Zen Mind, Beginner’s Mind: Informal Talks on Zen Meditation and Practice. “Hanging” in Chiang Mai – not allowed to leave Thailand til Feb (well of course can leave, but would interrupt my visa processing). Just spending as much time with wife and kids during the kid’s winter break. Training the team on more Amazon things – my recorded workshops are coming in handy! The website marketing is going well, a great established team from GFA is adjusting well to the new sites and brands we are working on. Thinking a lot about what happened in 2018 and preparing for an epic, and new way of living and working, 2019 year. Hoping the team all can adjust to this merger smoothly. Got a 3 month visa for Thailand – hope no more travel til Feb! Remembering the saying – the more difficult conversations you have in your lifetime, the more you are likely to grow bigger and stronger. Something like this. Will be visiting my kids school about stuff as I have been away a couple weeks. Meeting Luisa for first time in Hong Kong Sunday to Tuesday as i’m trying to be a better manager. Typing this up from Shenzhen, China – last minute trip to see wife and get some documents – this Thai immigration is a hassle! Hong Kong for client work Monday-Tuesday, then Kuala Lumpur for Thai visa application O visa for 1 to 2 weeks. Really “giving” the reins to management (Anna C and Luisa) for GFA’s future. 2019 plans deep on my mind. Colombia Cross Border Summit March 6-8, 2019 launch this week. Still working with Puii, our PA in Thailand on cleaning up the handbook, some are losing the links. Thinking about 2019’s EVENT CALENDAR plan. Bargaining on a new incubator opportunity, still early stage. a lot of things to digest from Dcbkk – main point – focus on membership GFAVIP and webinars. Preparing for CBM 2018 – event mayhem. Preparing to start Puii our PA – can’t wait – need so much help! more Traction book implementation, rocks, org charts, circles of life. Happy I extended visa and got a ton of work done instead of a visa run. Trying to work ON the business more and instead of IN the business. Realize I am running 5 companies / organizations at the same time….. Moved my house in Chiang Mai! more settling in. Need to do a visa run / well a trip to Hong Kong anyway. Staying strong through all these changes. Also had to fire someone last week, it was tough for me. Still working hard in Chiang Mai – barely leaving my home office to be honest – so much work. Working on management team and people. GFA partners – more B2B deals. Cross Border Matchmaker (CBM) – and inviting more attendees, companies, and experts. Back from Yiwu to Chiang Mai, Thailand – catching up on work and functional internet. Dealing with Kids’ immigration urgent issue on Monday morning. Building out lead generation team for GFA expert database. More SOP and management – systems set us free. Enjoying more GFAVIP member only events and perks. Setting up my home studio in Thailand, getting a flow state. Back in Hong Kong Tuesday, then Yiwu, China Wednesday til Saturday for Yiwu sourcing trip. Have an amazing new GM and partner in our Amazon FBA business – announcing soon. Kid’s immigration stuff on Monday. Preparing for Yiwu trip Sept 6-7 and Canton Fair Pre-Accelerator and Cross Border Matchmaker China Oct 26. Updating homepage of GFA to be more crypto and blockchain relevant look and feel. Also preparing schedule for HK/ Sz / China returns. At my new house in Chiang Mai, Thailand with kids screaming in the living room. Making sure kid’s first day of school on Tuesday goes smooth – buying a bunch of stuff! Realizing everything is about management! Preparing to come back to Shenzhen / Hong Kong Aug 23 – Sept 5. In the middle of nowhere, Nepal (Lumbini) where Buddha was born. One day in HK Wednesday. Typing this up in Kuala Lampur, Malaysia -but will be in Nepal on Tuesday night for the rest of the week. Back to HK Aug 8. Huge adjustment in life for Chiang Mai, Thailand move – nervous but excited! Heading to Malaysia with Wendy for her meditation retreat. Chiang Mai Thailand this week for the first time. Amazon FBA hustle, team is learning by pressure. Workshops in Manila and Cebu, team retreat next Sunday. Pushing the boundaries to make something great. Preparing to move to Thailand. More content for Coffee, Virtual Reality, cross border business. Making a guest blog machine. Working on membership of GFA for CBS 2018 videos STILL – 33 videos! Following up with opportunities that came from the summit. Fully focused on Cross Border Summit April 20-21 – its this week! 6 months of planning all comes down to now! Fully focused on Cross Border Summit April 20-21 – less than 2 weeks now so the pressure is on! Roland from Para Living Inc is in Hong Kong trying to meet him since he’s only here a couple times a year from Europe. Training Claire – looking forward to Claire our client services and business development team member, learning the systems and team members more to help take Global From Asia to the next level. Planning for new business expansion after the summit. A few big things in the works. Chinese Factory VR Experiences – so cool we are doing virtual reality for factories now. My birthday is Monday (4/2) . Getting older. Always put pressure on myself to break limiting beliefs and achieve greatness that is hidden inside all of us. Cross border Summit April 20-21, 2018 my big focus and pressure – more and more attendees, and so many want to be a speaker been on calls with a lot of potential new speakers. Association / wechat app / community / block chain something to add more value to the community here. Finished recording first VR content at a factory, this week learning how to implement it. Going to Saigon Thursday night for DCxSGN conference over the weekend. BACK! Recovered from jet lag and exhaustion of taking care of 2 kids in USA w/o my wife. Cross border Summit April 20-21, 2018 my big focus and pressure – it will rock – but still so much work to do! Still kind of Chinese New Year …things on the Eastern front still quiet. Chinese New Year …things on the Eastern front really quiet. Making the most while in USA – making deals and meeting people in US. Back to the Hong Kong, Shenzhen China border grind! 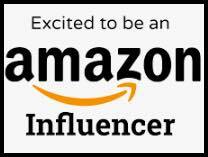 Para Living Amazon launch is coming soon! More systems, SOPs, KPIs, processes set us free! Preparing for Philippines Jan 11 – 17, Manila and Cebu. Manila meetup Saturday Jan 13! More Email marketing funnels and Dead Line funnel. Cross Border Summit early bird with the top speakers and sponsors. Working on email funnel – diving so deep into email marketing…. Video systems – making a whole video interview series inside of factories and Chinese Amazon FBA sellers, need to make a system to make it smooth – each Thursday a new release. Working on finding venue for Cross Border Summit 2018 in Shenzhen, China – may stick with same one as last year and focus on quality people instead of quantity. Oh ya and Happy Thanksgiving! Not much of a holiday for me though, no plans yet. Preparing to go to USA – Florida- Feb 1 – 18, 2018 – now doing a China Business Workshop for it. Catching up on content creation backlog and working with team. Looking to open an SZ office as member’s community center. Cross Border Matchmaker! Is coming up quick, Friday Oct 27! Editing TONS of video interviews with top Chinese Amazon FBA sellers – last week did a ton of interviews, now gotta edit them all. Re-engaging with VIP members of Global From Asia. Cross Border Matchmaker (CBM) inviting high level international sellers. Shanghai trip Sept 19-24 – CHat conference, also doing a GFA meetup Wed Sept 20. Doing GFA event in Hangzhou too, as well as a visit to Alibaba. Focusing on our GFA VIP members program. Have a mastermind rush starting. Also doing members town halls and 3 live podcast recordings with Q & A. As we have a lot of free content on Global From Asia – that will still be free, we are just adding premium paid content on top, as we’re figuring out how to monetize all the work we have been doing. Cross Border Matchmaker (CBM) this is lining up a massive event. Wendy is taking the lead and last week announced it – tons of sponsors and signups already. Shanghai trip Sept 19-24 – CHat conference, also doing a GFA meetup Wed Sept 20. Want to do some hyper networking. Lorenzo talking to me about coming to Hangzhou too. Need to figure this all out. Working on better managing my finances, Shlomo is my coach! After leaving New York City in 2007 I always kind of let the budgeting slide…. Para Living is getting samples delivered, still firming out the work flow between partners. GFA meetup long term strategy. Philippines? Hong Kong chapter leaders, dates for September’s. 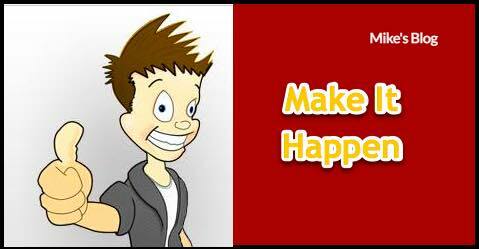 Video creation and marketing systems and procedures. 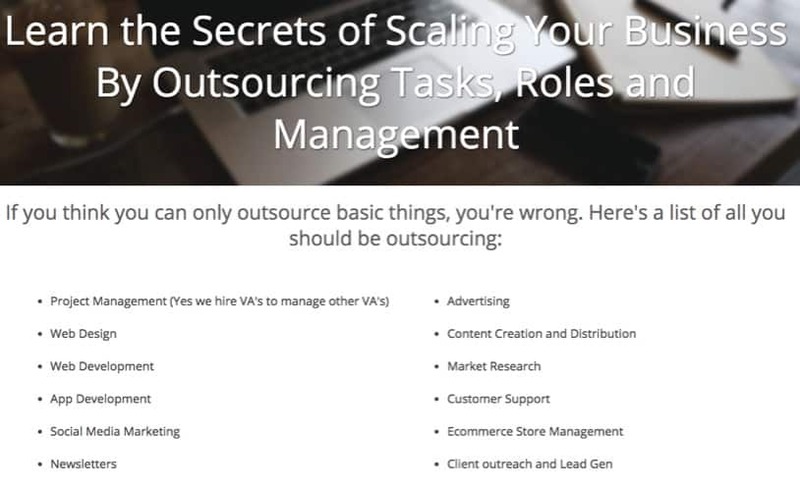 Scale By Outsourcing – talk to Travis about webinar and more cross-marketing. focusing on GFAVIP member series + recruiting more premium members. Speaking in Hong Kong on Aug 31, Thursday, at Naked Hub on Cross Border E-commerce. 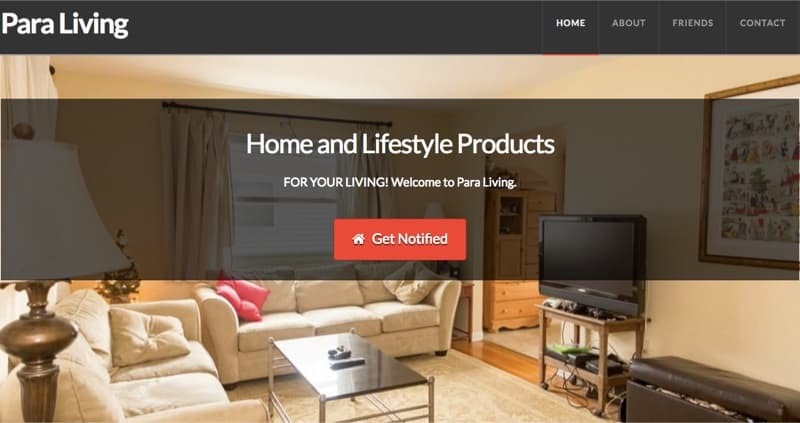 Banking and corporate, legal, contracts for Para Living Inc.
New ecommerce venture confirmed – Para Living! Get USA GFA Chapters going! Getting close to E-commerce gladiator Tv night – Tues Aug 22! Servicing new members of Scale By Outsourcing program, getting more signups! more re-purposing of epic content! Back to the “grind” – I hope to travel less, do less meetings. I just want to focus on making amazing content and building out more systems for the business. Working on GFA Chapter organization – getting lots of questions for chapter organizers and working on making it smoother – but at the same time – need to figure out the best business model – it is a challenge – but an opportunity at the same time. Systems for getting new content online – Have amazing content being created – still the flow isn’t fully complete. Need to make a system for that and get people in place for it. Scale By outsourcing course – lead magnet delivered, sales page up, with target of 3 clients by end of month. Rise Conference – will be a media at rise conference, going to be hyper networking, hope to get a few good podcasts in. Meet some more cool people and grow the GFA brand and network. Building out more GFA chapters – Miami, Hangzhou, San Francisco, and more in the works. Make GFA into a cross-border business association – need to make a charter, get a board of advisors. Learning how that works, but seems taht is what GFA is becoming which is awesome! Monetization models – still need to work on monetization for GFA. Still in Vietnam, will be here till Tuesday night, July 4th. Launching SBO – scalebyoutsourcing.com – after months of work, we have the course ready and a great offer, if you want to check it out, get on our email list on the homepage. Excited to regularly add knowledge and help for people growing their business by outsourcing. Design flow – we just added a designer to our team and he is taking charge of making smooth designs for all our meetups and events. Strategic thinking about our meetups and workshops – after this Vietnam meetup last week, deciding about the long term strategy of having meetups in various parts of the world. What is the business model, what is the value. Talking to some local Vietnamese potential organizing partners and getting some great insights. Each market here in Asia is so different, how to make them all fit together. Business model canvas – my buddy Wilson Blues pushing me to make one so he can give me more feedback. He’s afraid I’m not thinking a bout profitablilty enough. Will be a good exercise. Goign to Vietnam Wednesday til July 4 – doing a GFA meetup there on Thursday June 29 at The Hive in district 2 from 7pm to 9pm, come by! EVENT Week!!! been preparing for this week for a while, will try to keep “computer work” up a bit but will mostly be at conferences, meetups, and more. Really working being a “manager” more than a “maker” as we add more and more people to the team. GFA VIP – paid membership, and basically, everyone else is a free member (email newsletter, etc) – helped me a lot to figure out that the GFA site is 2 things – paid member or free member, that is it. Education and Members is the focus, seems this is what I have always been about and need to focus on what I am good at, as well as what people want (and pay for)! GFA Experts followup – Just had an amazing GFA Experts Meetup and GFA Experts Workshop at the end of last week! Want to collect feedback and make a long term calendar / schedule for future events. GFAVIP – I want to focus more on our current and new GFAVIP members. Adding all these new GFA Jobs, GFA Market, GFA Experts, I want to make sure the current members know that they have special priority and benefits on these platforms. Working on meetups and workshops as part of the GFA experts division of Global From Asia. This Thursday have a meetup on logistics, and then Friday a full day workshop on Amazon Leverage. Also getting more interest in Vietnam for a meetup there June 23 (friday). Looking for community leaders to help drive these forward. Looking to bring back Global From Asia TV, monthly. Early stage discussions on an e-commerce incubator in Shenzhen. Not a “startup” incubator where the majority fail and look for 1 “unicorn” – but a more average risk with average return. Help these e-commerce sellers start, scale, and/or get to a new level depending on their level. Restructuring China Business Cast a bit so that it can operate more independent. Launching a new GFA Experts platform to enable knowledgable experts on Asia business to organize courses, workshops, and events under the Global From Asia brand. Hope to launch in a couple days. Close to selecting an intern for this summer to take GFA to the next level. Working on more workshops for Amazon FBA with Meir Simhi, launched and people are buying it. Was shy about pricing but learning to sell value, and it will be worth it! Reading a book about mindset, and just not looking back. I have invested a lot in so many projects that didn’t pan out – but need to remember that those are what made me who I am today. Focus on what is working and I hope to double down on that. Digesting an amazing Cross border Summit April 21-22 STILL!. already talking to sponsors and speakers for next year. Seriously massive win here and trying to keep momentum. Masterminds on the beach? sounds pretty awesome would love to make that happen. Digesting an amazing Cross border Summit April 21-22 that just finished on Saturday. Writing up PR releases, dealing with the accounting, collecting feedback, and thinking about April 2018’s event. Working on more workshops for Amazon FBA with Meir Simhi, as well as Wechat training with Matt Brennan. All hands on deck preparing for the 2017 Cross border Summit April 21-22 less than a week away now. I hate to delete stuff, so I’ll keep the archives below of the old “now” status updates. All hands on deck preparing for the 2017 Cross border Summit April 21-22 less than 3 weeks away now. So communicating to early ticket buyers and sorting out logistics. 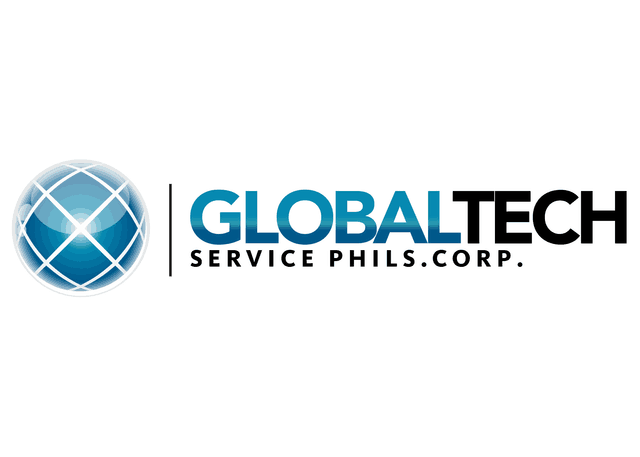 Getting more service providers to list on our new Global From Asia Marketplace. (didn’t really follow the “what I’m doing now”) in 2016 – and got inspired by Dustin Ellard to archive the older ones each week. Started it up again on my birthday in April 2017. Writing this up end of December 2015. Global From Asia podcast + Asia business agency – What started out as a podcast has become my main focus – I’m helping people setup companies in Hong Kong and China, as well as a list of other products and services for business in Hong Kong and China. Unchained Apps + Social Agent App Business Development Manager at the app company Unchained Apps which Social Agent merged with in Nov 2014. 3rd Book Coming soon: China Startup – almost ready to launch my 3rd book, China Startup – about my experiences and insights starting a tech startup in Mainland China. Launching in Jan.